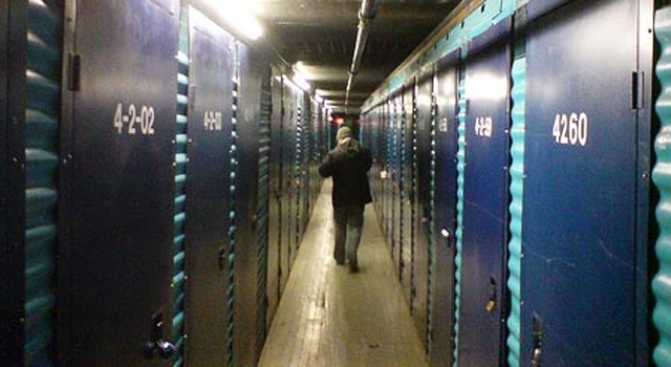 if you don't pay the company storing your stuff, it can all go up for auction. The impact of these tough economic times is hitting us in all sorts of ways. The housing and auto business are two well-known casualties, the storage business is also taking a hit. Obviously, if you don't pay your rent you get evicted, if you don't make your car payments someone takes away your car. But if you don't pay the company that is storing your furniture or personal belongings, it can all go up for auction. That puts the storage business in a rough spot. You see, if the bills aren't paid, storage units filled with personal belongings can be put up for sale to pay off the debt. The total time line would be 56 days; from the time they went delinquent to the time items could be sold. No storage unit wants to sell out your personal property, but if you don't pay the rent you leave them little choice. Storage facilities actually make little to no money off of the sale. The best they hope for is to break even. In fact many times the only person who makes money on the deal is the auctioneer. So if the renter owes the storage unit a thousand dollars, and everything sells for two thousand, the storage unit only gets to keep one thousand. The extra money actually is supposed to go to the original renter -- if they can find them.